Provide industrial level input solution to optimize your space utilization by controlling your system in just 1U rack space. 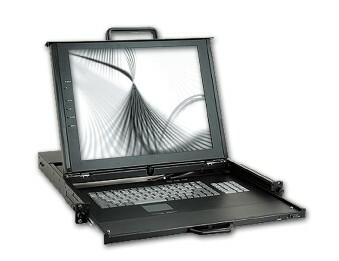 17" Dual Rail KVM Drawer, VGA & PS2. Dual Rails for Independent Panel and Keyboard. Depth 450mm mountable to 830mm, Resolution 1280x1024.